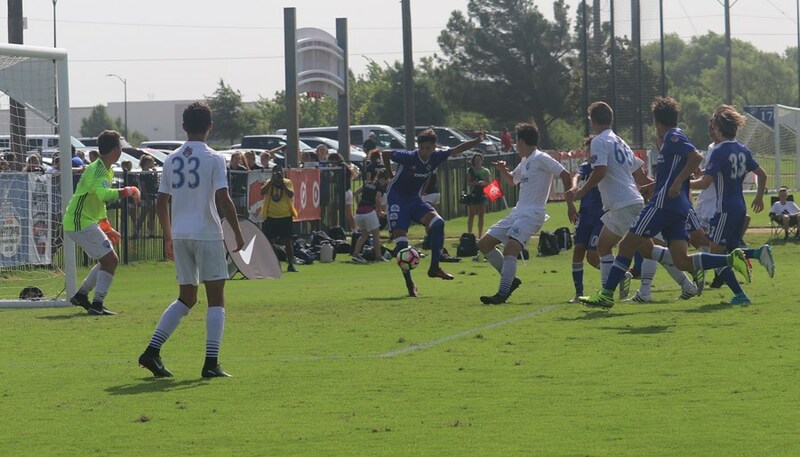 FRISCO, Texas (July 25, 2017) – Three North Texas Soccer teams went undefeated on the opening day of play at the 2017 US Youth Soccer National Championships held at Toyota Soccer Center in Frisco Texas. Under-15 Girls Solar Chelsea 02 Grado, Under-15 Boys Solar Chelsea Red 02 Stricker and Under-17 Boys FC Dallas 00 Premier advanced to the National Championships after claiming 2017 US Youth Soccer Region III Championships titles last month in Greensboro, N.C.
Group play will conclude on July 27, semifinals will take place on July 29 and champions will be crowned on Sunday, July 30. Boys and girls teams in multiple age groups earn their way by competing against the top teams in their state and region. US Youth Soccer State Champions and selected wildcard teams are eligible to compete in one of four US Youth Soccer Regional Championships. The champions in the 13U through 19/20U age groups from each regional event will converge in the finals with the National League teams. Solar Chelsea 02 Stricker started off its first trip to the National Championships with a convincing 5-0 win over National League Red Division champions Midwest United FC 02 Royal (MI). The Region III Champions broke through when Ilean Castorena dribbled past a few defenders before slipping his shot past the Midwest keeper and into the back of the net in the 25th minute. In the 42nd minute, Riley O’Donnell, who led all scorers at the Region III Championships with nine goals, got free on a breakaway before burying his shot in the bottom far corner for the second goal. Castorena would net his second goal in the 51st minute, and O’Donnell would nab a second of his own via the goal of the tournament so far after be biked in a cross. Castorena would complete the hat trick in the 73rd minute by finishing off a Richard Garcia cross to make it 5-0. Solar’s defense, which has only give up one goal in the North Texas State Cup and Region III Championships combined, shut down Midwest forward Noah Brumels, who broke the National League goals scored record with 15 goals in seven games. Midwest United’s best chance came during the first half when Solar keeper Christopher Edwards’ diving save rolled towards the goal-line before Brandon Gast would block a point-blank shot to get rid of the danger. "The fact that we scored five is a big deal. Mentally our kids took the game. The biggest play of the game was a great save by Edwards and for Gast to recover and block that shot, which led to a goal on our end," Solar head coach Chris Stricker said. "Our defense had a really impressive performance, and it was a good team win. One game never won a championship, so we are going to draw on our experience from big tournaments and prepare for BRYC." 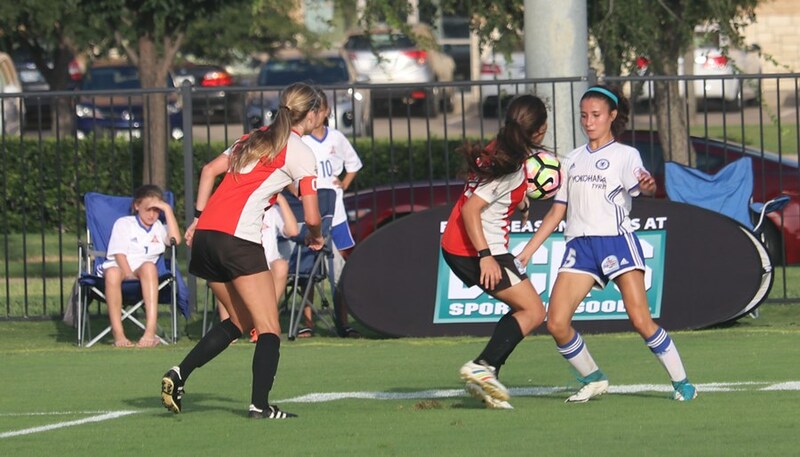 Gabriella Lovkvist put Solar Chelsea 02 Grado up 1-0 just six minutes into its match with Region IV Champions and National League runners-up La Roca PO 02 (UT). Solar keeper Victoria Geisert came up with a couple of huge saves, including a one-one save and a penalty-kick save in the second half. However, a La Roca shot took a wicked deflection before finding the back of the net to tie things up in the final minutes, and the final whistle would sound minutes later. Next up for Solar will be Region I Champions Loudoun 02 Red (VA). 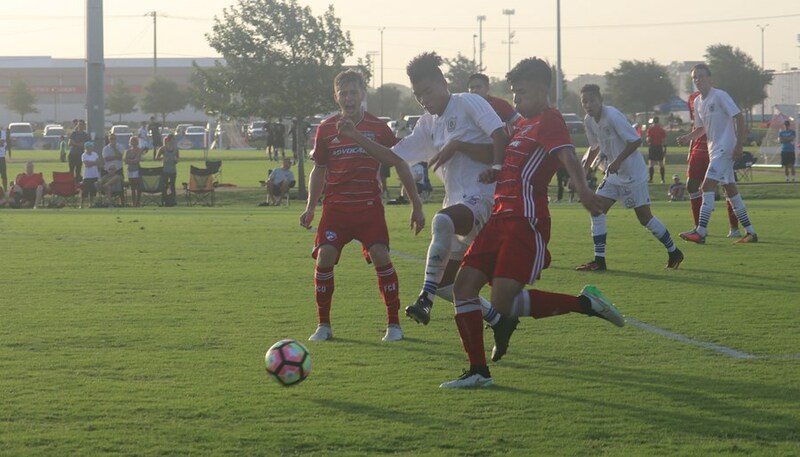 FC Dallas 00 Premier got off to a dream start against Sparta 00 JK when Marcos Puga headed home a corner-kick I the seventh minute to put the North Texas State Cup champions up 1-0. Region III Championships leading scorer Fabian Cruz put FC Dallas up 2-0 in the 26th minute. National League White champions and 2016 National Championships semifinalists Sparta would respond with goals in the 28th and 34th minutes to knot the score a 2-2. Neither team would find the back of the net in the second half. FC Dallas will next play Region I Champions Baltimore Celtic SC 2000.